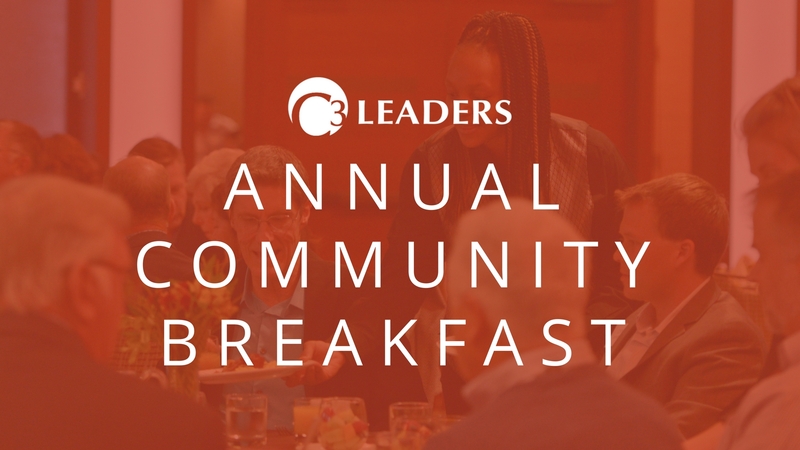 On the morning of September 21st, more than 150 Business Leaders gathered at C3 Leader’s Annual Community Breakfast. The Community Spotlight was on Tanya Jernigan, Executive Director of the Jernigan Foundation. Tanya shared stories about her work through the foundation and Diamond Technology Innovations, their family business. The Culture Spotlight was on Josh Dunn, Publisher of Premier Media Group. Josh talked about doing more with less time and how to create a personal agenda-free workplace. Chris Canlis, CEO of Canlis Restaurant, kicked off the Commerce Spotlight and told the story of how following the Holy Spirit yields the most satisfying results. Chris introduced the recipient of the 2017 High Ground Award, which recognizes a person that takes the “High Ground” in Community, Commerce, and Culture and by doing so, encourages others to use their gifts of leadership and to live and lead like Jesus. This year’s recipient was Jim Larkin, CEO of Romac Industries.